People often ask us what the best attractions at Universal Orlando are (and you can find them here), but we think it’s important to point out the worst ones as well. After all, we all have limited time on vacation and at the theme parks, so it’s helpful to know which attractions to avoid. 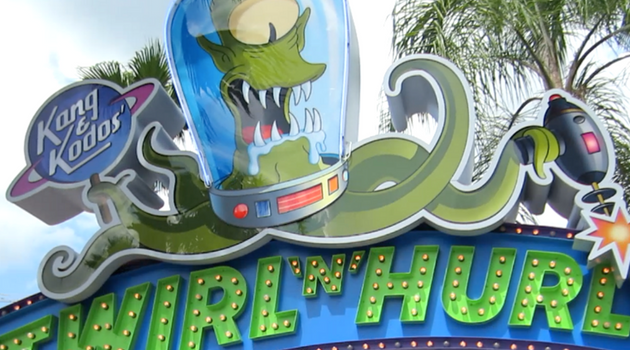 Here are a few of our less liked rides at Universal Orlando Resort. 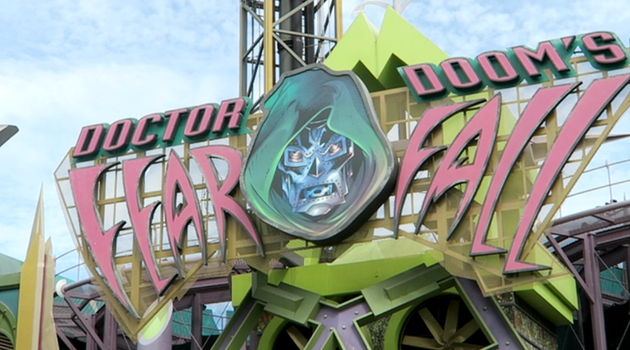 Doctor Doom’s Fearfall looks pretty ominous from the outside. Scary music and effects add to the frightening feel, but the ride is really short and probably not worth the wait for most. You do get a bird’s eye view of Islands of Adventure, but aside from that, there’s nothing too special here. The attraction is a basic drop tower that you might find at a carnival or other amusement park. As a past Disney Cast Member at Tower of Terror, save your screams for Tower vs Fearfall! Universal presents an elaborate story about how Storm is working to harness enough thunder and lightning to blast Magneto away and you can help by spinning the wheel in your vehicle, but in reality, this is just a faster and louder version of a spinning teacup ride. This ride opened in 1990 and it really shows its age. E.T. Adventure starts out great with a queue that looks, feels and smells as if you have just stepped into the forest in search of E.T., but the experience quickly goes downhill from there. The ride system is similar to a classic Disney dark ride, and somewhat like Magic Kingdom’s Peter Pan in that you fly over some parts of the show. If you love the story of E.T., you might enjoy this attraction, but the animatronics look old and weathered and the effects are a bit lacking for today’s standards. The Simpsons theme is colorful and funny, but this is your basic spinner ride. The seats get pretty hot in the Florida sun and the seats are not very comfortable either. It’s better to enjoy Kang and Kodos’ hilarious comments from the ground nearby and get your fill of Simpsons gags at the nearby Fast Food Boulevard and skip this one. If you’ve seen Pteranodon Flyers passing by overhead in the Jurassic Park area and thought “wow, that looks like fun,” you’d only be partially right. While you can get an amazing view of the park as you fly above other guests gently swinging side-to-side, but the ride is very short and the wait is often very long. And, the biggest kicker is that adults (and anyone over 56 inches tall) can only ride with a child that meets the 36-inch height requirement. We love the magical Hippogriff as much as the next Muggle, this kiddie coaster is something you can easily skip. However, if you’ve got a kid who is too small for the other Harry Potter rides, this journey past Hagrid’s hut is your jam. Do you agree with this list of the 6 Worst Rides at Universal Orlando? Which ones do you think are the worst? Just as important as avoiding the worst rides, we can help you choose the best ones! Take a look at our list of the 6 Best Rides at Universal Orlando Resort. Here are some other articles about Universal Orlando Resort that you may enjoy!